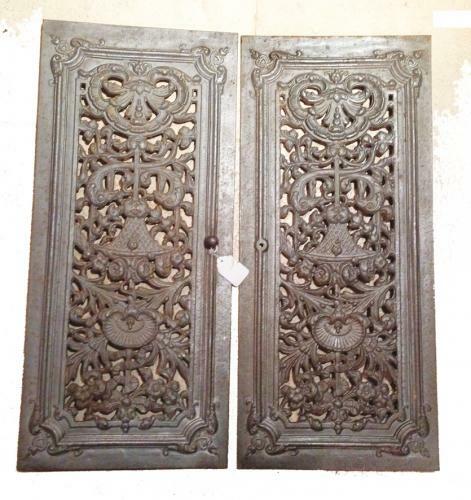 Pairof Antique French Oven Doors. These are really very nice. So nice that I kept hold of them for the last however many years but am at last selling as I never built them in as planned. They would be great to hide ugly pipes or electricity meter or make a nice cupboard in a kitchen or utility etc. each door has hinge holes on the back corners so they can be pin hinged easily.